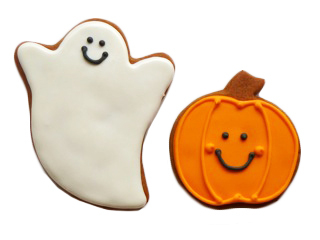 Sometimes the smallest detail can change everything in a cookie. I love Nina's happy ghost with googly eyes. 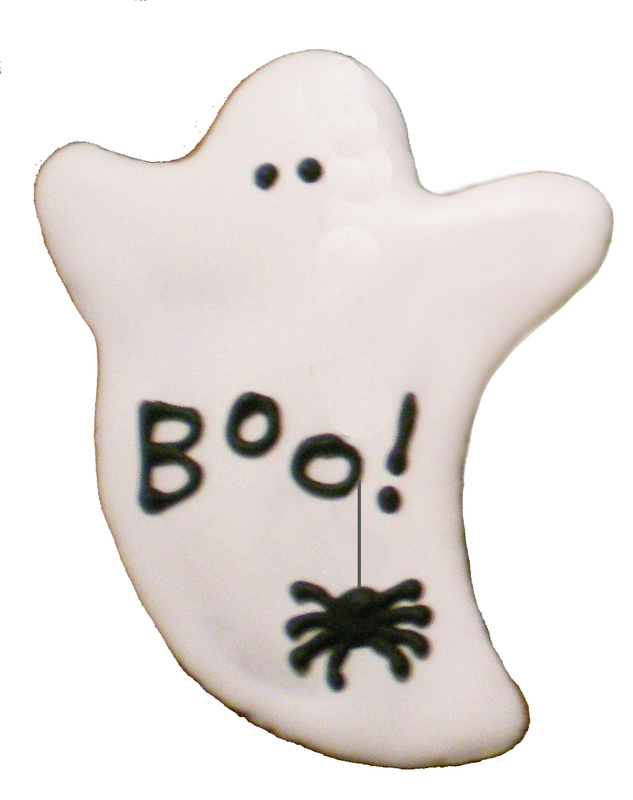 and my ghost with a spider and a "BOO!" Little jacks with an attitude - comedy and tragedy? 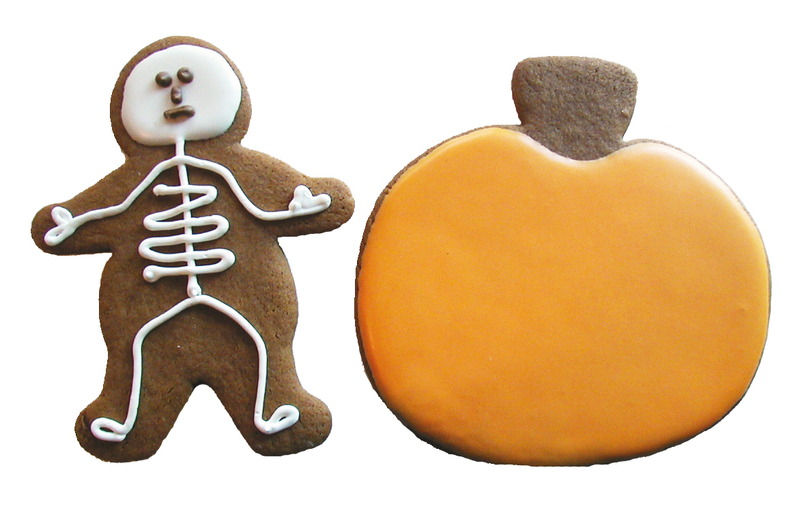 An x-ray of the gingerbread man for a skeleton? Not an original idea but this is my version and here's my big Nut Tree pumpkin again. 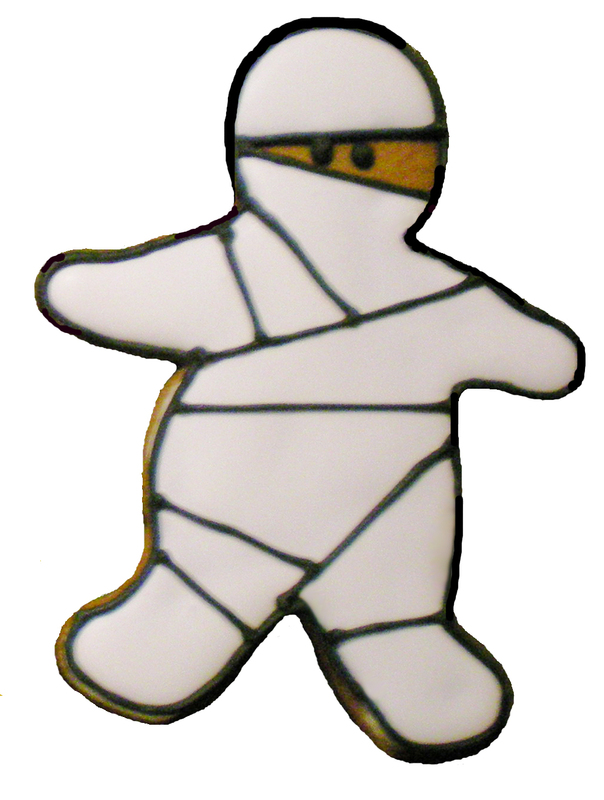 And my first attempt at a mummy man - I want to try that again. 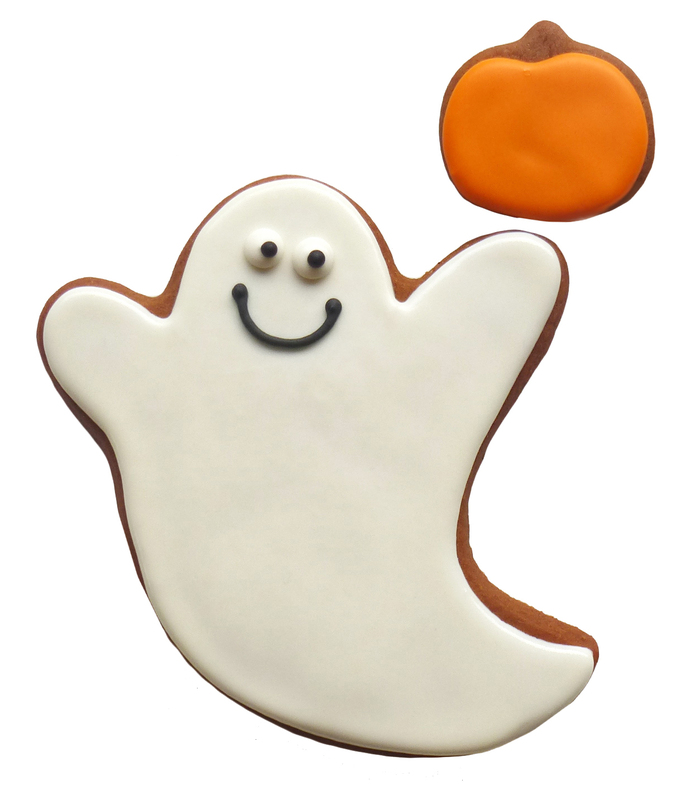 For more Halloween cookies click on the HALLOWEEN page at the top of this post.